This one of my entries in the 2009 Rip-off show. 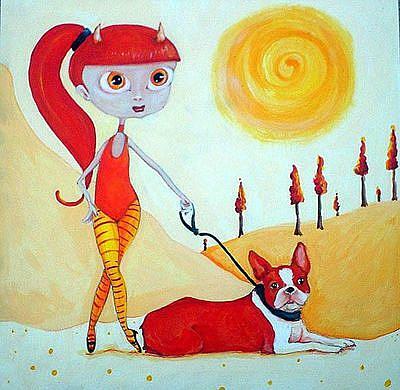 I was inspired by Noelle Hunt's Orange Devil Girl with Boston Terrier. 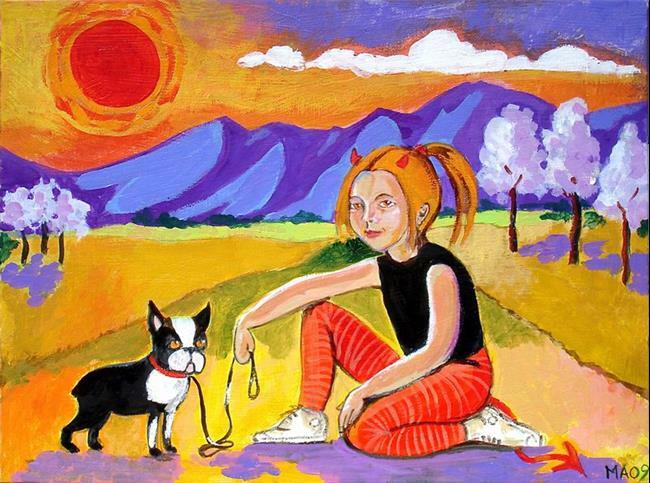 The whimsical nature of her painting really spoke to me. I wanted to keep the dreamy look while using the bright colors that are common in my work. I used a mixture of realism and fantasy in the drawing as well as the colors to creat an image that's fun and bright.